Cytherea has taken a position as lady's maid to the eccentric arch-intriguer Miss Aldclyffe. On discovering that the man she loves, Edward Springrove, is already engaged to his cousin, Cytherea comes under the influence of Miss Aldclyffe's fascinating, manipulative steward Manston. 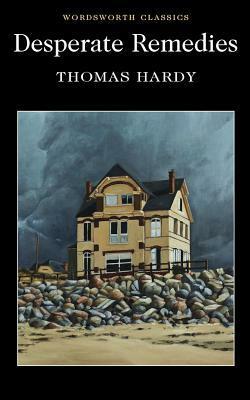 I have read most of Hardy's work, but had not yet tried this, his first offering. I really enjoyed it from start to finish. As the description suggests, there are hints of Wilkie Collins in the story line, but in the prose you can see glimpses of what will become Hardy's strong descriptive style. The plot itself, while indeed sensational, is gripping and I was also keen to pick the book up again each night and see what would happen next.